Next Sunday it's my turn to help with breakfast in our Sunday School class. Here's what I'm taking this time. I tried a new recipe from Pinterest. 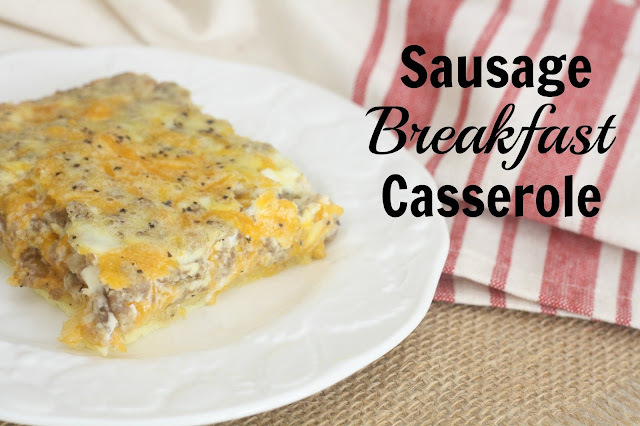 It has fewer ingredients than the sausage, egg, and cheese breakfast casserole I've been making for years and doesn't have to be prepared the night before. I loved it--maybe more than my older recipe. Brown the sausage and drain. As sausage cooks, roll out the crescent rolls and line a 13 x 9 baking dish with them. Pinch the seams together. Preheat the oven to 350 degrees. 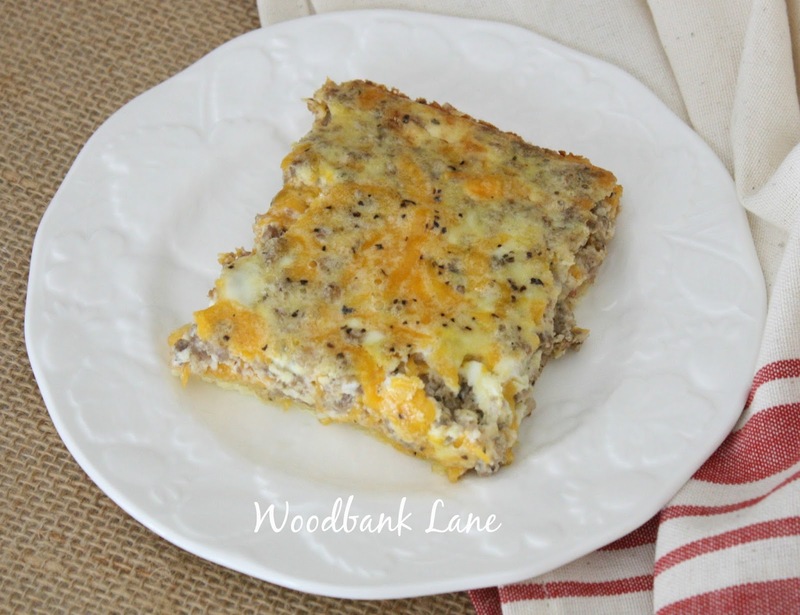 Combine the sausage, cream cheese, and 1 cup of the cheddar cheese. Spread over the rolls. Mix the eggs, milk, salt, and pepper and pour over casserole. Sprinkle the remaining cheese on top. This is the first recipe I've tried from Plain Chicken, but I've pinned lots of her recipes. They all look so good. I will be trying more! We enjoyed this last week as we were getting back in school routine. And it was requested again this week from the hubs :) Thank you for sharing! It's one of my favorites! So glad you all liked it!